The first step is to approach your local newspaper editor, at least six months prior to when you envision the publication date, with a plan and vision for the publication (genuine enthusiasm goes a long way in selling the idea). Each publication is very different but they all need a local angle that will be interesting to readers and advertisers alike that ties the content to the community. Keep in mind that people like to read about people and the human stories will always be at the core of any publication. An astronomy researcher at the local university will undoubtedly have stories that will be compelling to a local reader because scientists are often a вЂњhidden treasureвЂќ that most readers are not overly familiar with. A well-written article about a high-school intern at the local planetarium will appeal to even the most jaded newspaper editor! Once the idea has been вЂњsoldвЂќ to the editor then the work begins and it is necessary to identify a single point of contact individual who will coordinate the project. This might include helping to identify potential advertisers, authors (usually the newspaper will provide staff writers), interesting stories/individuals. Depending on the size and scope of the publication, this job can be very time-consuming because of the level of details involved. It never hurts to be very specific with your newspaper editor so that specific jobs and responsibilities are well-defined and even documented if you feel it is necessary. The content is obviously another issue that requires significant thought and effort. A Cornerstone project for the working group on science/visitor centers, observatories and planetaria is to produce a set of generic articles that can be used in any community and supplemented with local content to round out the publication. At the time of this writing the funding to produce this content is pending but even without generic content it is still possible to pursue a newspaper supplement but realistic expectations should be set in terms of the number of pages and the quantity of unique content. Even a supplement of 8 pages will have a major impact on a communityвЂ™s awareness of astronomy, IYA and the facility or group sponsoring the publication. Once the idea has been вЂњsoldвЂќ to the editor then the work begins and it is necessary to identify a single point of contact individual that will coordinate the project. This might include helping to identify potential advertisers, authors (usually the newspaper will provide staff writers), interesting stories/individuals. Depending on the size and scope of the publication, this job can be very time-consuming because of the level of details involved. It never hurts to be very specific with your newspaper editor so that specific jobs and responsibilities are well-defined and even documented if you feel it is necessary. The content of the supplement requires forethought and effort. Realistic expectations should be set in advance in terms of the number of pages and the quantity of unique content. 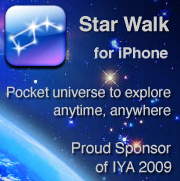 Even a supplement of eight pages will still have a major impact on a communityвЂ™s awareness of astronomy, IYA2009 and the facility or group sponsoring the publication. The argument can be made (and has been) that both HawaiвЂ�i and Chile present unique environments for a newspaper supplement given the significant investment in astronomical research and resources that has made in each of the Gemini host communities. However, with the IYA events and visibility, an extremely strong case can be made for any community with a planetarium, science center, observatory, university with a strong astronomy program or even a very active group of amateurs to explore this initiative with their local newspaper editor. Finally, since this paper will not answer all of the possible questions and challenges will be encountered in the pursuit of a newspaper supplement, the authors encourage readers to contact us with questions and queries. Chances are weвЂ™ve encountered the same issues and can help provide a smooth path for a successful publication and enhancement to your IYA activities.